Unravel the mystery as you build, buy and flip houses for big profits. Elizabeth once again needs help dealing with her eccentric family and you’re the person for the job. 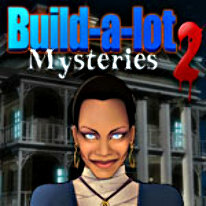 Discover the hidden clues to unlock the mysteries of the Graves family as you build, buy and flip houses in each of their eerie neighborhoods. With three campaigns to play, it won’t take long to discover that some secrets can’t stay buried forever.